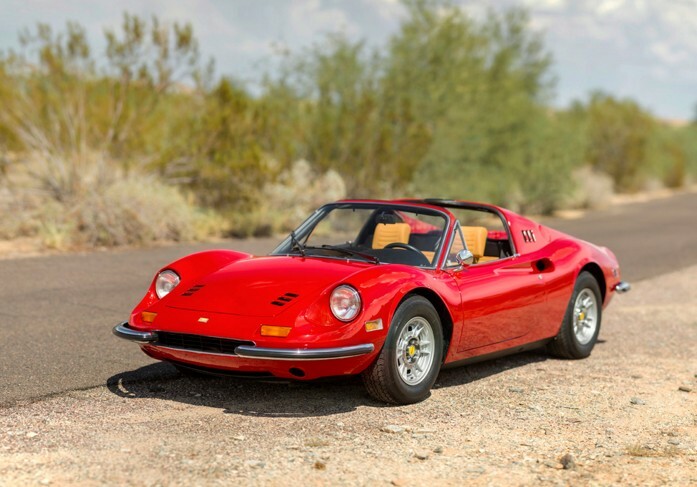 January means Scottsdale and first up in this rundown is RM Sotheby’s sale. The top sale was the beautiful 540K Special Roadster we featured for $9,900,000. Other feature cars include the Apal-Porsche for $88,000. The Torpedo-bodied Duesenberg sold for $3,000,000 (the Town Car failed to sell). Other million dollar sales included the Porsche 918 for $1,595,000, the SS 100 for $1,402,500, and the Cadillac Ghia for $1,430,000. 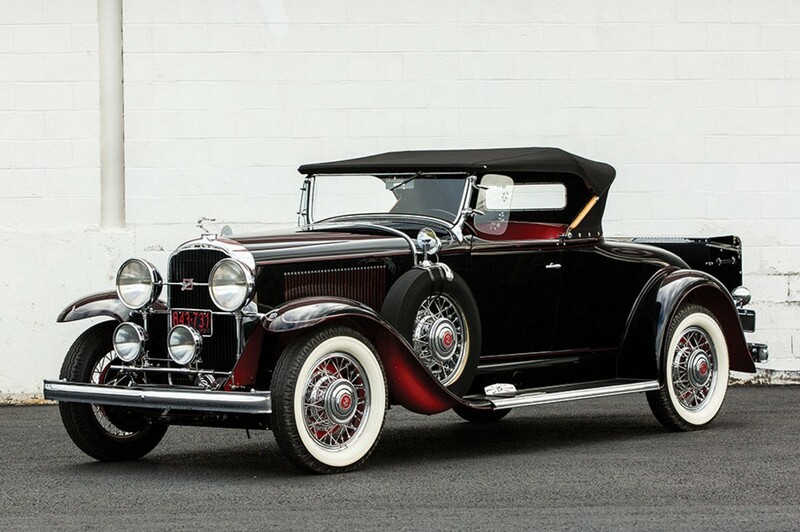 Interesting cars included this striking 1931 Buick Series 90 Sport Roadster for $154,000. A few previously-featured cars made an appearance here, including a 1913 Pathfinder that found a new home for $121,000. Others were a 1911 Lozier and a Dragonsnake Cobra that both brought $990,000 and a Roamer at a much-less $66,000. The Jensen-Ford went for $247,500 and Cadillac Town Car $79,750. The Phantom II failed to sell. 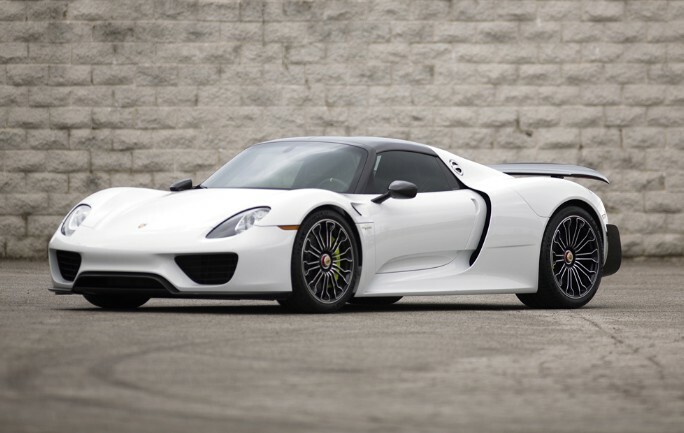 Moving across town, we have Barrett-Jackson’s gigantic sale where the top seller was a practically brand-new 2015 Porsche 918 Spyder for $1,760,000. All four of our feature cars sold, with the Chevy El Morocco bringing $181,500. The Heine-Velox sold for $99,000, the Talbot-Lago $715,000, and the Saleen S7 $451,000. 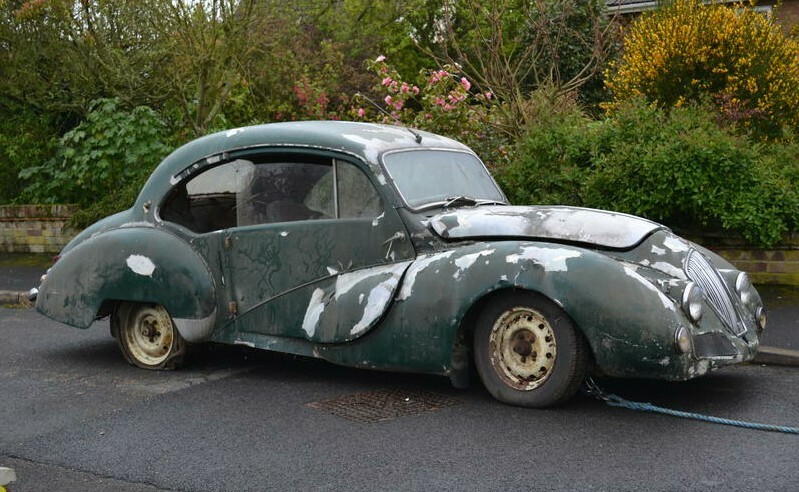 A previously-featured Renault failed to sell. Check out full results here. The next big Scottsdale sale is that of Gooding & Company where a 1950 Ferrari 166 MM/195 S Berlinetta Le Mans was the top sale at $6,490,000. Our featured Ferrari brought a little less, at $3,410,000 while our other feature car, the Fiat Mirafiori, brought $143,000. A previously-featured Duesenberg sold for $2,420,000. Full results can be found here. The final Scottsdale sale we’ll be covering is that of Russo & Steele. The top sale here was a 1973 Ferrari 246 GTS Spyder for $374,000. Our featured Dodge Charger brought $242,000. Click here for full results. A week after all of the Arizona madness, Rétromobile in Paris rolls around. First up from there is Bonhams where a few of our feature cars failed to sell including the Adler, Veritas, and Newton-Ceirano. 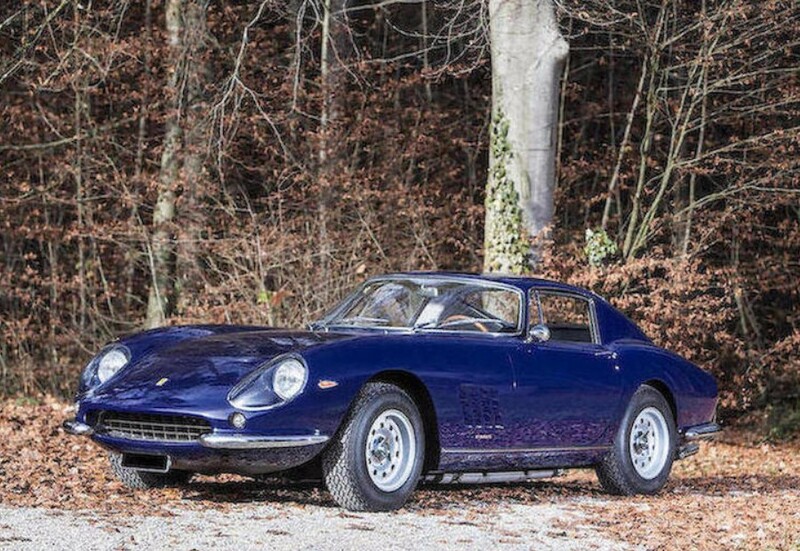 The top sale was this 1966 Ferrari 275 GTB for $2,319,642. Other feature car sales were the Darmont for $20,619, the ASA for $146,910, and the Iso Rivolta for $103,095. Click here for full results. We’ll have more from Paris in a few weeks. As tomorrow is Christmas, any these little cars would make the perfect stocking stuffer. What a cheesy sales pitch that is. 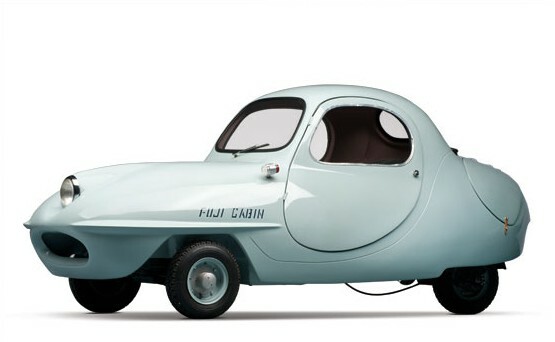 This fiberglass little bubble was produced by Fuji Motors Corporation of Tokyo from 1955 through 1957. It has a rear-mounted single-cylinder of 125cc making 5.5 horsepower. One of my favorite things about this car is that it has a boat-like name (“Cabin”) and that it says “Fuji Cabin” on the fender where a boat’s registration would normally be and it is in, what I will call, “boat script.” Other than that, there is nothing boat like about it because it is tiny. Only 85 were ever made and very few survive. This one should sell for between $75,000-$100,000. Click here for more info. Auctions America’s 2012 Fall Auburn auction featured a boatload – perhaps two boatloads – of cars. The top sale was our featured Duesenberg Model J Derham Sedan for $456,500. Second place went to another local product, a 1932 Auburn 12 Boattail Speedster for $275,000. The next highest selling car is kind of a weird one. It’s a recreation of a three-axle Mercedes-Benz Type G4. These monstrous automobiles were originally built for the Germany military and high-ranking Nazi officials. What you see here is one of three faithful re-creations of said cars that was offered at this sale. Two sold, one did not. All were built from scratch at a very high cost. This one brought $269,500 – much less than you could acquire a real one for (if you were to even be able to find one). Other interesting sales including this 1944 Demag Half-Track for $93,500. This 1990 Pulse Litestar was one of 360 built. It’s four-cylinder engine was capable of 100 mpg and doing 140 mph. It sold for $22,000. One of my favorite muscle cars (although I prefer the convertible option) is the 1967 Plymouth Hemi GTX. There was one at this sale and it sold for $47,300. One car that is quite fascinating is this 1952 Packard Pacifica Concept. The car was designed in 1952, but never built. In 2001, someone found the drawings, bought some 1951 Packards and set about building this very attractive retractable hardtop. It sold for $88,000. And finally, the coolest car of the whole sale has to be this 1977 GAZ Chaika M-13 Limousine. These cars were based on 1950s Packard designs and were used by the upper echelon of the USSR Communist Party. These are very rare in the United States and about as quirky of a production car as you can find. A time warp to the Cold War, it sold for $40,700. Mecum’s Bloomington Gold all-Corvette sale was held on June 22-23, 2012. Because every car that sold was a Corvette (and so were those that didn’t), this recap will be pretty brief. You can always check out the complete results at Mecum’s website, here. 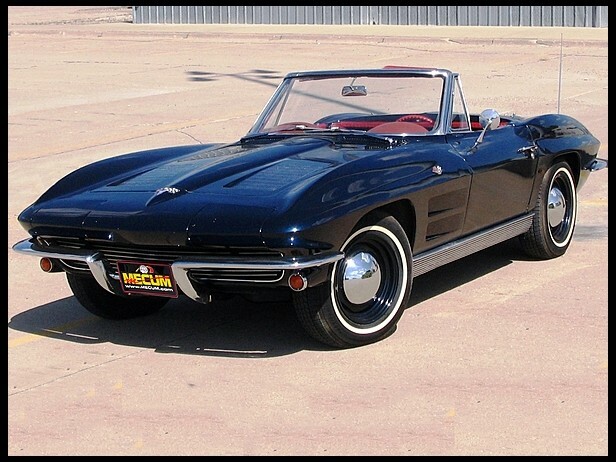 Top sale was a 1967 Corvette Convertible with the 427/435 engine option. This one was has a white stinger over Goodwood Green paint and it looks immaculate. There were other cars that were bid to higher prices, but they failed to meet their reserves. Our feature car, the 1995 Indy Pace Car Convertible, sold for $18,500. 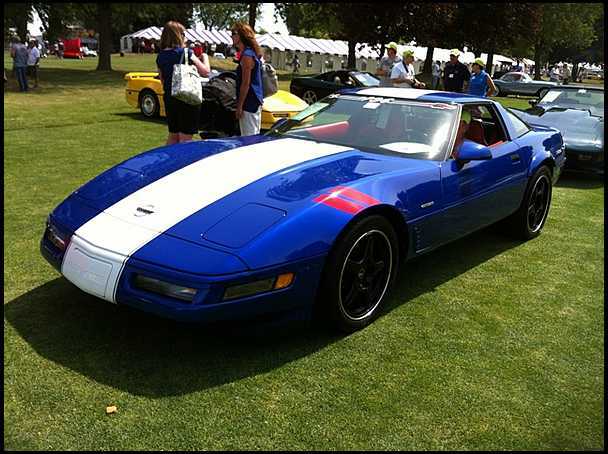 Two other cars I liked included this 1996 Grand Sport Coupe that sold for $28,000. And finally, this 1963 327/340 Convertible. It’s nothing remarkable, but I love the wheels on this car. It sold for $27,500. We recap a lot of auctions where the top selling car is well into the millions of dollars and the least-expensive car sold is just barely less than $100,000. Well, there are auctions out there where affordable cars cross the block. Mecum’s 2012 auction held in St. Paul, Minnesota, had many such cars. 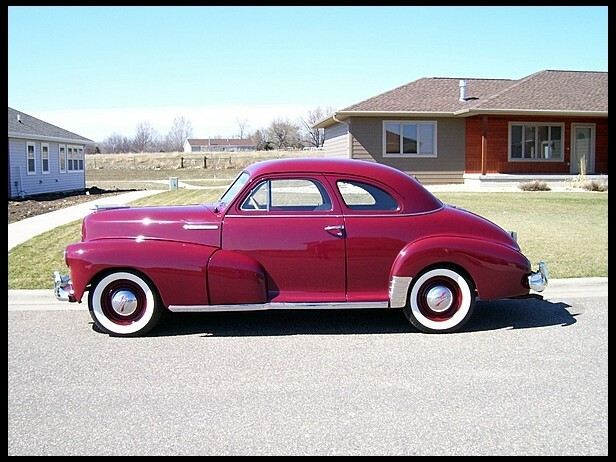 There was even fun to be had for less than $10,000 – such as this 1947 Chevrolet Stylemaster that sold for $8,000. Another well-bought car was this restored 1958 Buick Riviera that sold for only $11,000. At that price, you’re pretty much just paying for the chrome. 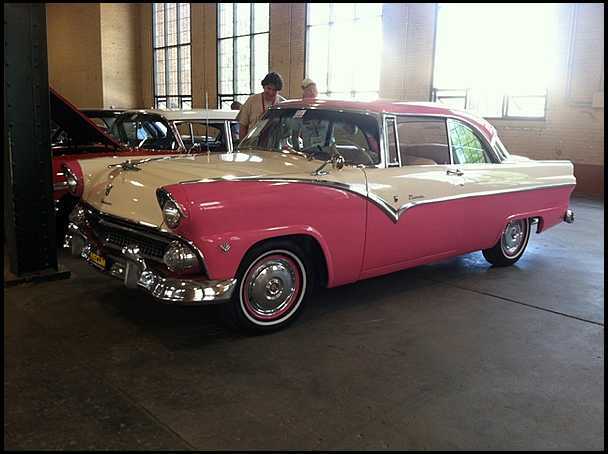 Or what about this 1955 Ford Victoria? It had a frame-off restoration in 2007 and was bought by its lucky new owner for $12,750. The top sale was slightly more, at $85,000. 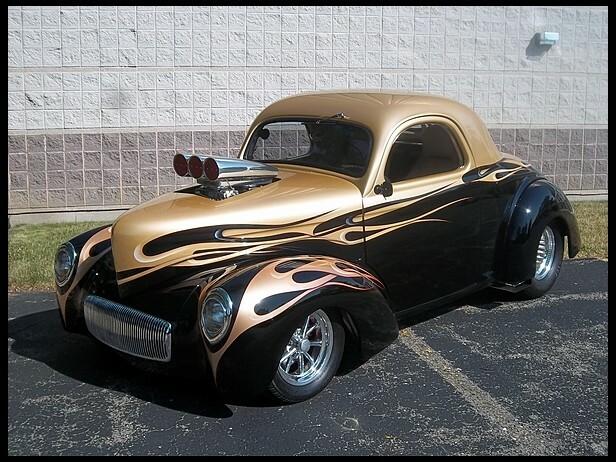 It was a 1941 Willys Coupe – slightly modified to more of a Pro Street car than a hot rod. Either way, it looks pretty fierce. For complete results, check out Mecum’s wesbite. Bonhams sold a bunch of motorcycles and cars at their June 16 sale in Oxford, England. 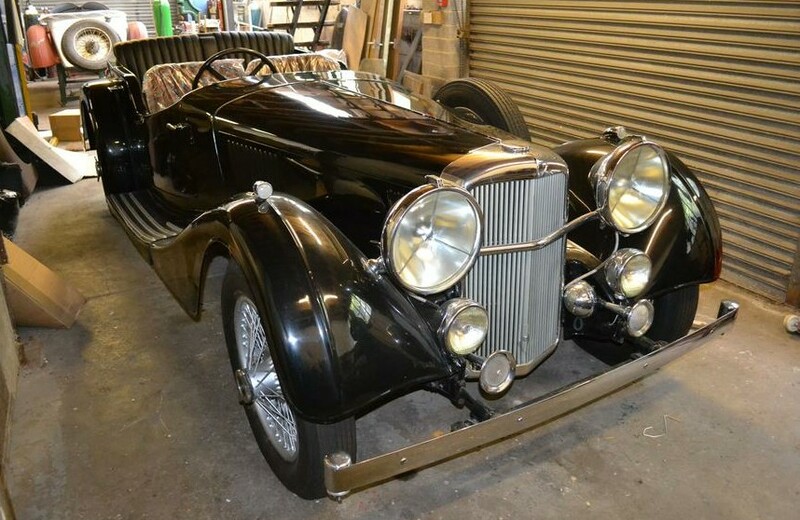 The top sale was a tie between a 1936 Alvis Speed Twenty-Five Tourer (below) and a 1950 Healey Silverstone – at about $100,000 each. 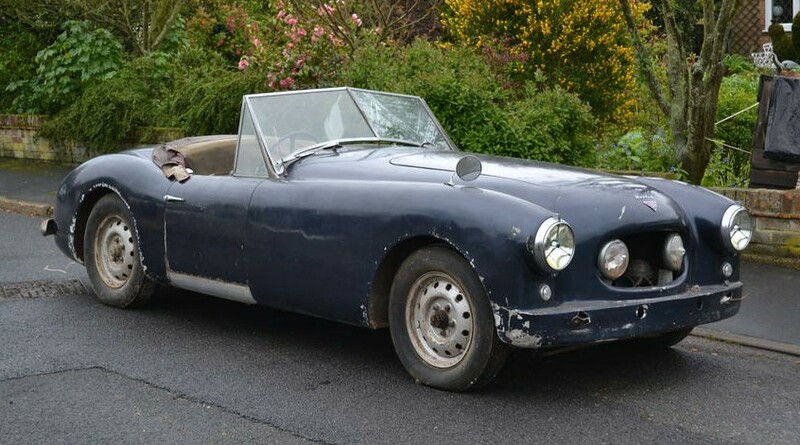 The Healey Silverstone (above) was among a collection of barn-find condition Healey-related automobiles that went across the block. Three other Healeys begin our “other interesting sales” bit of the program: first, this 1948 Healey Duncan that sold for $16,500. 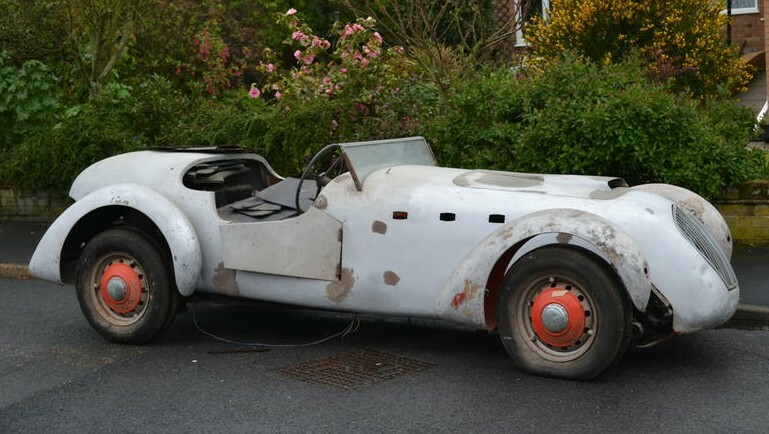 Then there was this 1947 Healey Duncan Drone Roadster, likely the only in existence and ripe for restoration. It brought $43,000. And, the final Healey, a 1952 Alvis-Healey Sports Convertible, which looks kind of like a period Jensen 541, sold for $61,000. 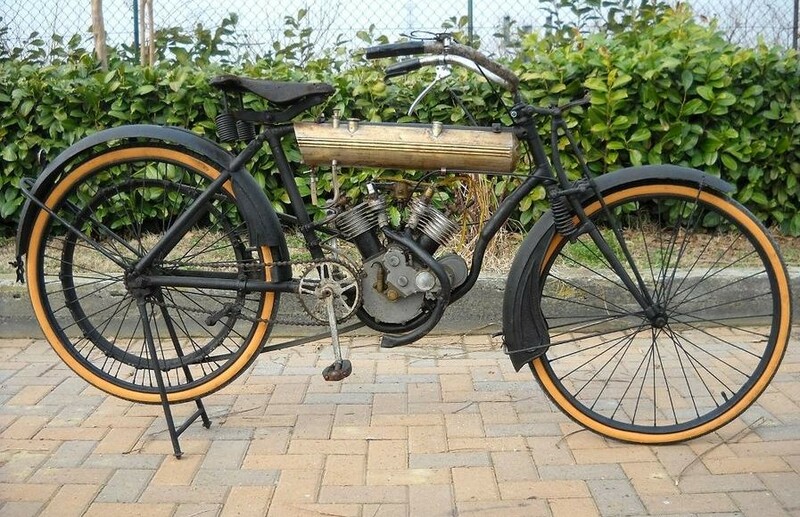 Interesting motorcycle sales include a 1909 Moto-Rêve 2.5hp V-Twin. Moto-Rêve isn’t a marque you see everyday and this example sold for about $12,500. 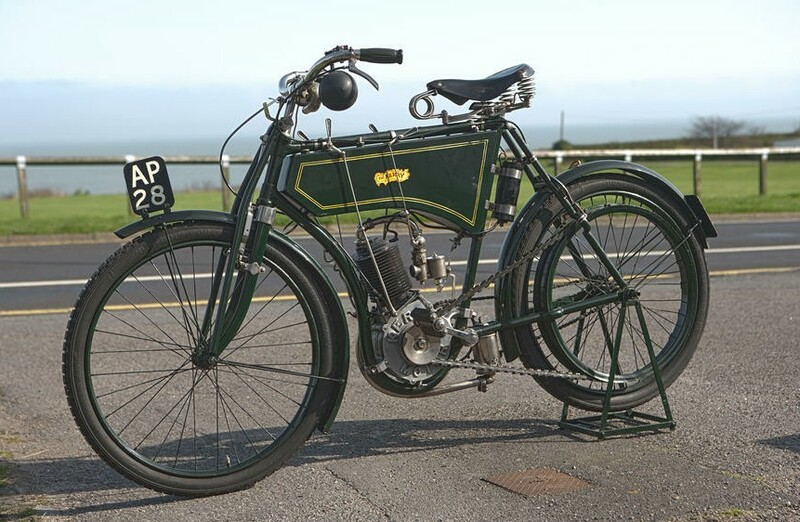 Another rare motorcycle is this 1902 Kerry 308cc. It is the earliest surviving (of about six) Kerrys. On display in a motorcycle museum since 1956, it was sold in 2006 and freshened to running condition. It sold here for $25,000. Our feature car, the 1992 Maserati 222 SE sold for a paltry $4,500 – or about as cheap as you’re likely to find anything wearing a trident. 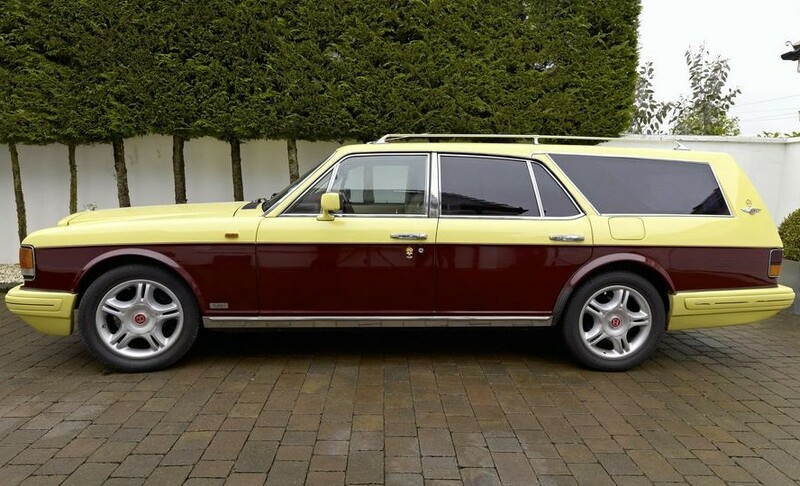 And now for something completely different: a 1983 Bentley Mulsanne Turbo… Estate. That’s right, a Bentley station wagon. It was a 30,000 mile car that had spent its life on the Channel Islands before heading to the mainland in 2003 when it was sent to coachbuilder Coway Ltd and turned into the wagon – in striking maroon and yellow colors – you see here. You aren’t likely to find another. It sold for $31,500. The Itala marque was founded in 1904 and is fairly well-known among enthusiasts and collectors for its racing prowess prior to 1910. The company existed until bought out by Fiat in the mid-1930s. That’s 30 years of history but it’s so rare to see one come up for public sale. 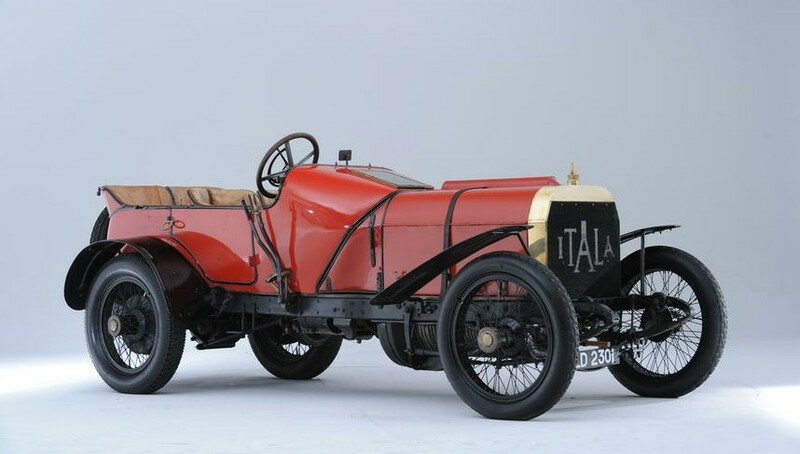 And yet here is one – but not just any Itala. This car, known as “Floretta” is a somewhat famous model with known, detailed history. Itala racing cars won the Coppa Florio in 1905, the Targa Florio in 1906 and the Peking-to-Paris race in 1907. 1908 was the first year for a fixed “formula” for the Grands Prix of Europe. Itala built three four-cylinder cars for the 1908 season, utilizing drivers Alessandro Cagno, Henri Fournier and Giovanni Piacenza. It was thought until very recently that this car was the one driven by Cagno. New evidence (such as wheelbase and weight comparisons) suggest that this may have been the one driven by Piacenza, as it had a longer wheelbase and thus, more weight, than either of the other team cars. In 1909, the car was in possession of a Mr. R. Wil-de-Gose who lapped the Brooklands circuit at 93mph. The next year he returned and eventually bumped the speed up to 101mph, faster than the Mercedes race cars it competed against in 1908. Shortly after this, the original racing body was replaced with the four-seat touring body you see here. After World War I, the car was parked in a garage in England until discovered in 1927. The car was brought back to life and has changed hands only a few times since. I highly recommend going to Bonhams site here and reading the entire description, which includes snippets of stories by people who have driven this monstrous machine. It’s very interesting. The engine is a massive 12-liters in capacity. It has four-cylinders with cylinders cast in two blocks. It makes about 100 horsepower and is good for cruising comfortably at speeds over 80 mph. 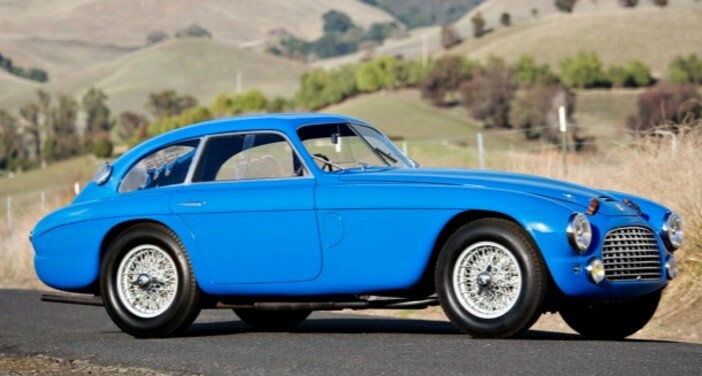 The last Itala I can find that sold at auction went for less than $100,000. The estimate on this one is slightly more at $2,300,000-$3,900,000. It’s an amazing machine and an amazing opportunity. 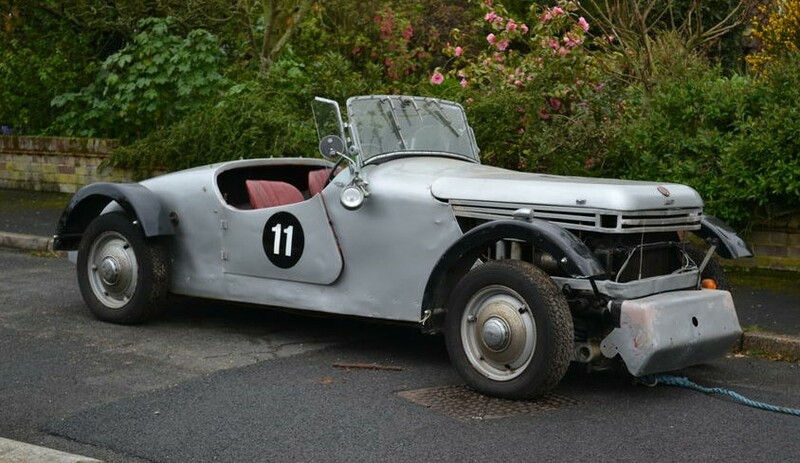 For more info click here and for more on Bonhams in Goodwood, click here. I guess it’s been more than a month, but a while ago we featured an aftermarket Corvette re-body from AAT. Well, this is another aftermarket re-body, but this time it’s from a company called Avelate Automotive. The styling is tasteful, I think, and not school-boy garish – as the words “aftermarket re-body” generally lead me to think. Some people might ask “why? What’s the purpose of modifying the styling?” That’s a fair question – especially if it’s done by some random individual. The Avelate was penned by two men: one an automotive designer and the other a customiser. There are Corvette touches on the redesign – among them a split rear window, reminiscent of the 1963 Coupe. This is one of 11 with the split window. A convertible and speedster were also offered. Only 27 were built in total at a cost of about $100,000 each. 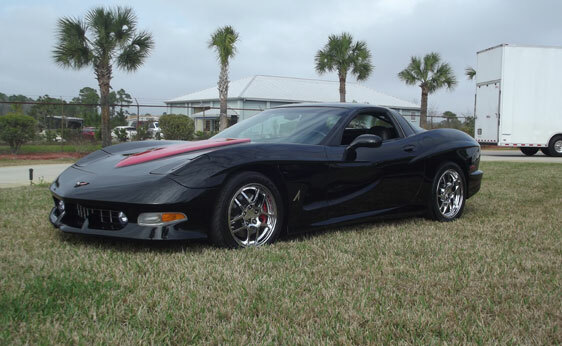 It has an 5.7-liter V8 (LS1) under the hood and, mechanically, it’s identical to a 2002 Corvette. 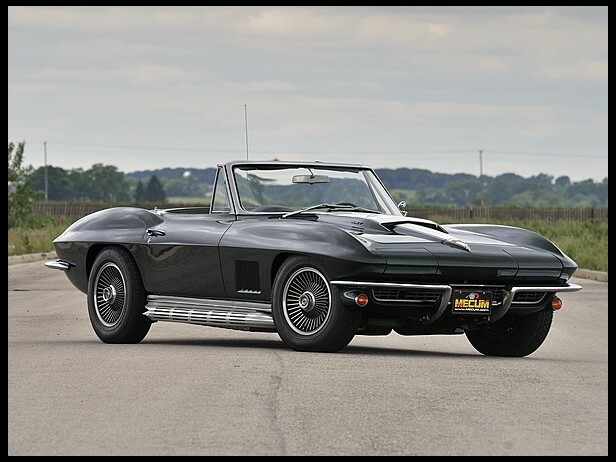 Estimated to sell for between $60,000-$75,000, this shows that there is a market for these late model “coachbuilt Corvettes.” With time, I dare to predict, these will become more and more collectible. Think of the limited edition aftermarket muscle cars of the 1960s. They’re now worth a pretty penny. You might think that, because it’s a 10-year-old Corvette, it will never be worth anything. But back in the late 60s a Yenko was just another car you could abuse at the drag strip. You never know what the future holds. For the complete catalog description, click here. And for more from Auctions America on their home turf in Auburn, Indiana, click here. Update II: Not sold at Auctions America’s 2012 Auburn Fall Sale. DAF, the Dutch truck manufacturer, is primarily known among car-types as the company that built small family cars in the 1960s – like the Daffodil. They were also the first company to sell a car with a Continuously Variable Transmission – that soul-sucking device used to improve fuel mileage. Well, they built trucks first and continue to do so as a subsidiary of PACCAR, the Washington-state-based heavy-duty truck conglomerate. They have also been building military vehicles such as this for the Dutch military for many years. This is a YA 126 – which isn’t as much as a model name as it is the first few digits of the chassis number. 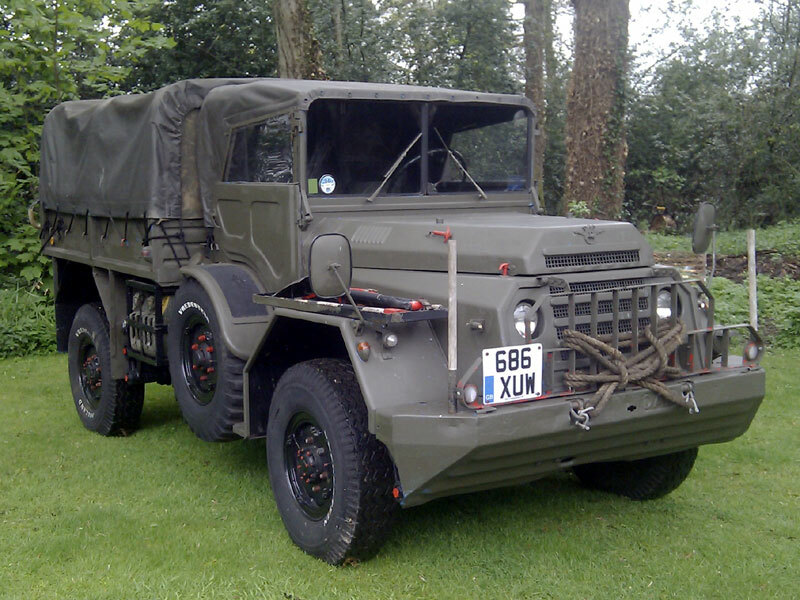 It is a popular truck among militaria collectors – there is a DAF YA 126 club in the Netherlands. In some ways it’s similar to the American “deuce and a half.” This truck is powered by a 4.6-liter straight-six that is described on H&H’s website as “meaty.” It has permanent four-wheel drive and is a canvas-topped troop carrier – with room in the back for six of your friends. So if you’re in the market for cheap, fun way to, I don’t know… say, roll up to a paintball match in style – then this is your truck. It’s estimated to sell for between $6,400-$8,000. For the complete catalog description click here. For the rest of the H&H lineup at Pavilion Gardens, click here. Long before Briggs Cunningham started building his sports cars in Florida in the 1950s, James Cunningham, Son & Company (unrelated) of Rochester, New York, were building Cunningham-based cars. But these were not sporty little racers – they were high-end luxury automobiles for very exclusive clientele. Their first car was sold in 1908 and in 1916 they introduced their first V-8 engine in the Series V-1. This is a 1922 Series V-4, which has the same 442 c.i. V-8 introduced in 1916. It is a Model 82-A (translation: long wheelbase). It was rated at 45 horsepower – a figure that would double for the 1923 model. 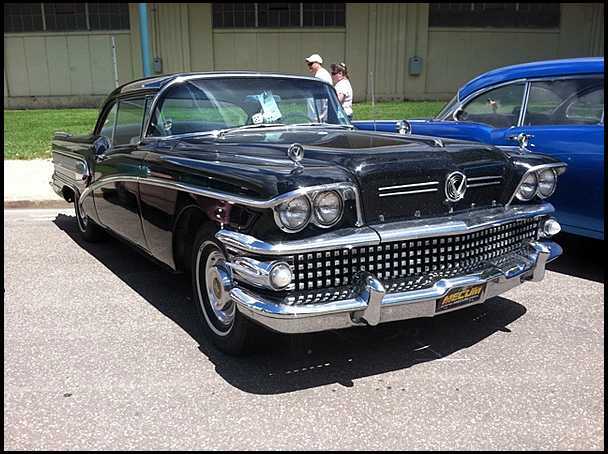 The body style is called a “Town Limousine,” with an open area for the driver and a closed passenger compartment. Ownership history is known from the 1970s and the restoration is over 25 years old. I’ve seen more stately Cunningham cars but I haven’t seen many Cunninghams of any type. They are very rare cars. 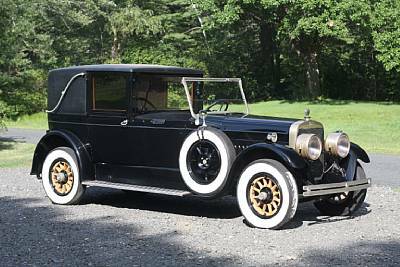 While it’s unknown who purchased the car originally, you can bet it was someone pretty well off, as Cunningham’s could cost over $8,000 in the early 1920s. Quite a sum. The pre-sale estimate on this car is $120,000-$160,000 which seems fair for a car with an older restoration that is rarely seen. For the complete catalog description, click here. 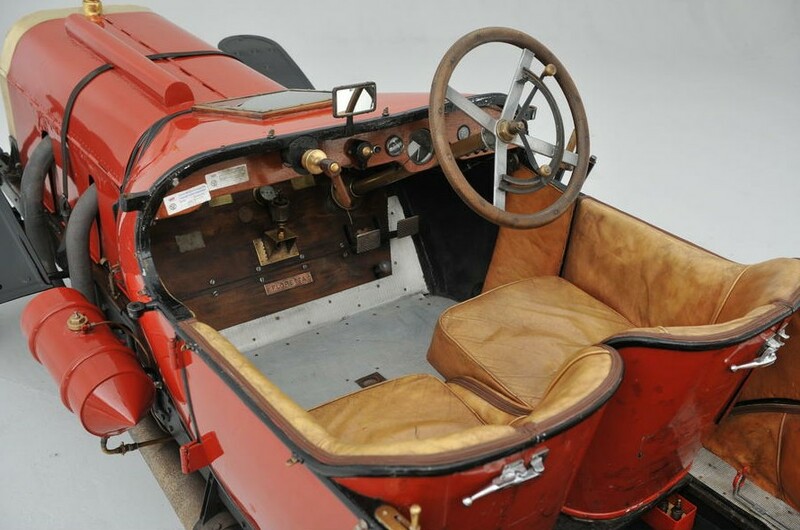 And for more on Bonhams in Connecticut, click here.